2017 sees the 100th anniversary of the October Revolution that ushered in nearly a century of Soviet rule in Russia and its satellites and annexed territories, while its aftershocks still reverberate through the world today. 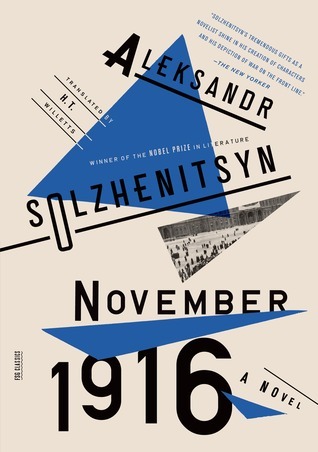 It’s a period about which I know very little – I’m more aware of mid-20th century history as it relates to the USSR than I am about the period just before and after the revolution. So I have decided to set myself a little challenge to read myself into this period of history during the centenary year. I’m going for a mix of factual and fiction, and since several of these books are monsters in terms of size, my list is pretty short. 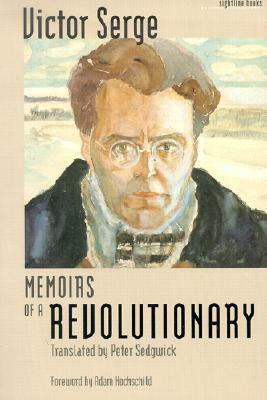 However, I’ve tried to come up with a selection that will show me the Revolution through the eyes of contemporaries, both supporters and opponents, and also retrospectively, through history, biography and fiction. I’ve also tried to select books that are considered to be amongst the most important written on the subject, even though I expect some of them will be pretty tough going. Should be fun! Well… maybe not fun, exactly, but… er… interesting. Or something. If anyone feels like joining in, I’d be more than happy to do an occasional round-up post linking to reviews. Just in case, I’ve drawn up an extensive list of rules, which must be strictly adhered to. Are you ready? 1. Read whatever you like, whenever you like, if you like. Or watch a film. Or don’t. Seriously, my list is history heavy because as you know I enjoy reading heavy history. But it’s not to everyone’s taste, so if you prefer to read entirely fiction, or fiction and some memoirs, or watch movies or documentaries, or anything at all really, then that’s great. I’m also not setting any targets (for you or me) in terms of how many books to read, and no deadlines of any kind. The only “rules” I would suggest are, firstly, that you let me know in the comments if you decide to join in; and, secondly, that, if you do, you tag any relevant WordPress post as RRRchallenge (and for Tweets, #RRRchallenge). That way, I’ll be able to pick up any posts when I do a summary. If you’re not on WordPress or Twitter, then a comment on this or any other post of mine will have the same effect. I’m also not restricting the time period. Personally I’m interested in learning more about the period from before the revolution (roughly 1890) up to the 1930s because that’s when I know least about, but if anyone wants to read about Stalin or the post-WW2 period, or the end of the USSR, or even Putin’s Russia, then feel free. And lastly, don’t feel under any pressure to join in at all! I won’t be offended… well, not enough to declare war on you anyway, (though I may sing the Red Flag to you which, frankly, would be worse). Wow, what an I interesting challenge. It’s been quite a few years since I read the Bulgakov but remember enjoying it. 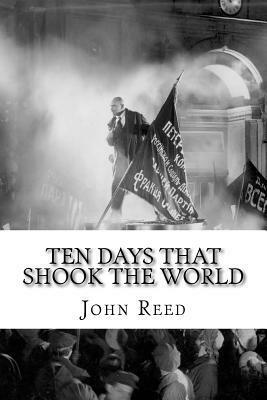 Also John Reed’s book. Hmm, can I take on another challenge this year….? I’m not sure what it says about me as a person that the first thing I thought was “Oh! 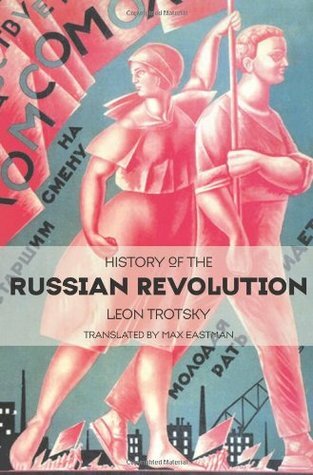 What fun!” haha I must recommend one more hefty tome for your list – Russia Under the Bolshevik Regime by Richard Pipes is really quite excellent, covering from the conclusion of the Revolution through the death of Lenin. I personally loved Pipes’s writing so much that I wrote him a fan letter. His chapter on totalitarianism, contrasting and comparing communism, fascism, and national socialism is genuinely fascinating. So, you know, if you’re looking at your list and thinking, “Wow what I really need is another 500 pages”, Pipes gets my recommendation. 😀 Good luck on your challenge!! Nice to see a picture of Putin before the plastic surgery, there 😉 Well, I like Russians and I like revolutions so this should be fun! 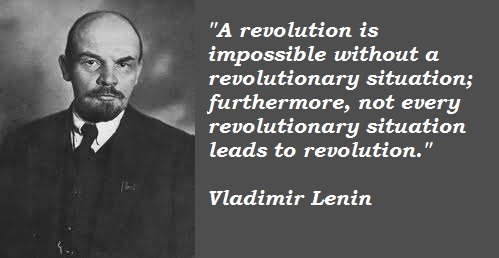 I’d be interested to know if there is a definitive Lenin biography, by the way – keeps your eyes peeled! Oh dear, I hope they don’t kill people who read about him too – maybe I should use an alias when I talk about him… Ringo? What a fascinating challenge, FictionFan! And I think you’ve chosen some excellent books to help you learn a little more about that time. I’ll be very interested in what you think of your reading, and of what you learn. Looking forward to your posts on the topic! I don’t usually focus on one period like this, so I hope my butterfly mind can cope – but it should be interesting. Unfortunately, every book on the subject is nearly as massive as the country! Oh well…!! I’ve read quite a few of these already, and your other choices look interesting. I can’t think of a really good biography of Lenin either, but if I come across one I’ll let you know. You might like to add some of Ransome’s own writing about Russia – The Crisis in Russia, Six Weeks in Russia and The Truth about Russia and numerous articles for the British press – all very well written by a man who was there. This challenge looks sooo interesting! I did a Revolutionary module at university. We did the Egnlish (Glorious), the French and the American, but we never got a chance to do the Russian which sounds fascinating. Good luck with your challenge and I look forward to your thoughts on the books you read! Sounds dangerous, teaching students how to revolt! 😉 We covered most of these briefly at high school but it was a) pretty superficial and b) a long time ago! I also know far less about the French than I feel I should… maybe one day! Thanks – I might need luck! Pas pour moi! I look forward to hearing more about the chocolate. lol. Wow. I felt exhausted looking at that list of books. But you’ve covered some good ones. 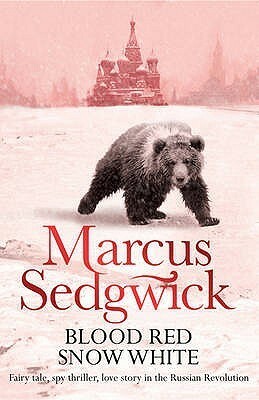 The only Marcus Segwick book I’ve read was My Swordhand Is Singing. Loved it. A great list – Doctor Zhivago in particular is one of those books that stays with you for life. If you did want to extend your challenge into the post-Lenin period, I would recommend At the court of the Red Tsar by Simon Sebag Montefiore, which provides a spyhole into Stalin’s wild and crazy personal world. Actually, another Bulgakov makes very good reading if you want a satirical view of the wheeler-dealers who took over Moscow during the early years of Lenin’s rule: Heart of A Dog. 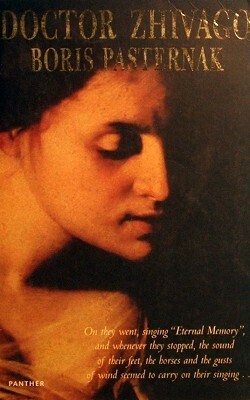 It’s available in Penguin Classics in a very readable translation by James Meek. Reblogged. Feeling lazy. I wanted to do a blog on this subject because I recently heard a revisionist view of the 1917 Russian Revolution that was a defence of Tsarism. I’d just read that Hobsbawm said, “nobody could defend Tsarism”, but twenty years on, that’s what some are trying to do. So here are some great books that set the record straight thanks to Fictionfan, and be prepared in 2017 for the revisionists. Fascinating challenge FF! I read the Figes years ago, but I remember it being excellent. Happy reading! When you said “short list,” I thought you meant maybe 4 books or so. What was I thinking?! I’ve been considering reading Dr. Zhivago this year. Do you already know which translation to read? I can’t make up my mind. I do have an old, inherited copy sitting at home, but it doesn’t have an ISBN number, so I have a feeling it might be an abridged version. While I can’t part with it, I can’t quite bring myself to read it either, because who wants to read a shortened version? Haha! I’m thinking 4 books would have been plenty – but you know me and lists… 😉 My researches suggest the Richard Pevear translation is the most highly regarded… but that may well be because it’s the most recent. I have a different one – Hayward, I think the name is – but I may invest in the Pevear or at least sample it and see which one I prefer. The translation can make all the difference, can’t it? Well, it seems to come in at around 500 pages so if your edition has less than that it probably is abridged… I hope you do read it this year – it would be fun to compare impressions! I will think on it. It should be interesting. If I do, it might be one I read before. Why not? Wanting to read a book again is always a recommendation! Yes. A good book is always better the second time. Definitely! Re-reading is so much more relaxing too. 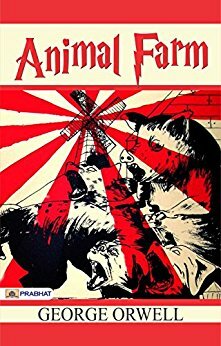 We read Animal Farm in high school, and I expect most people have seen the movie version of Doctor Zhivago. The others on your list, of course, are as yet untouched by me. What an interesting challenge you’ve come up with for yourself. It seems to me that our educations shouldn’t cease when we’re out of school, right?! What a great challenge! You’ve got a really good varied list to – though I would really recommend adding ‘We’ by Zamyatin as a companion to ‘1984’. It was written first and is incredibly similar – but this version was written by a Russian, so it’s great to see the two books side by side. I look forward to following your progress and learning what you discover! Ah, now “We” is actually sneaking onto my Classics Club list to replace one that I kinda decided against. It was recommended to me by another blogger ages ago in terms of sci-fi classics, but I didn’t realise it was that kind of dystopian – intriguing! I’ll try to make sure I read it this year – thanks! Well, I will think on this. I’ve already read and reviewed the Sedgwick, which is an wonderfully accessible fun read, and as an Orwell nut, have read Animal Farm lots, but not reviewed it.so, I might use it as an excuse for an Orwell re-read..and i read the 10 days that shook the world in my Russian teens and twenties, and it may still be on the shelves………ditto various Bulgakovs…..they could make a re-read…….and I have vague memories of reading the Serge………..or at least, meaning to read the Serge……..well, I might, you know…..I will keep you posted……………. Of course, you don’t have to go by my list – you may well know of other Russians who were writing about that period. I was actually surprised at how little relevant fiction I could find… though no doubt censorship played a part in that. Still, with the length of all the non-fiction, I won’t have time to read vast amounts of fiction! Whose idea was this anyway…?! Good luck with this new challenge – it sound hard but really interesting. I haven’t read much Russian literature, however I loved the history of the Romanovs I read last year. What an interesting challenge! I’m tempted to join in but I have such a long TBR list already…maybe something on there can fit in with this! I recently read Anthony Marra’s Constellation of Vital Phenomena, which is Chechnya in the late 20th/early 21st century but was very eye-opening for me as to Soviet history. No, I haven’t either so it was very eye-opening. 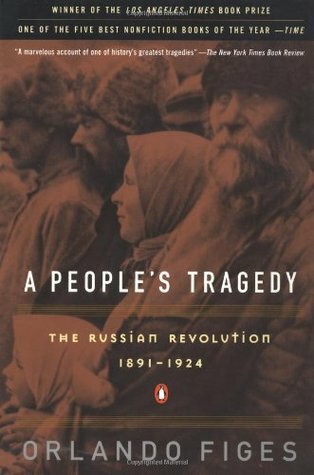 I actually went on to read some of Tolstoy’s stories referenced by Marra so I’ve read a bit of Russian lit recently but completely skipped over the Revolution! I actually couldn’t find much fiction set at or around the period of the revolution – lots of stuff with the Romanovs before it. Whether there’s loads and it’s just never been translated, or whether it’s just always been too dangerous for writers to address I don’t know… I’m hoping I might come across more as the year wears on. Great idea! There’s no way I could complete the challenge, but I’ll definitely sprinkle one or two of these into my 2017 reading to mark the anniversary. What an interesting challenge. It makes me want to get back to Penelope Fitzgerald’s “The Beginning of Spring” even more now. I dropped it shortly after starting when a couple of library holds became available. The setting is 1913 Moscow and I was finding the politics more of interest than the actual story. I found my lack of knowledge in this area just stunning as well as embarrassing. Your fiction list would all be rereads for me except for the Sedgwick book. Thank you for bringing it to my attention. As an add on- A 5 star read for me back in 2014 was City of Thieves by David Benioff. It’s set during the siege of Leningrad so a later time than you’re looking for and another thing I knew shockingly little about. I describe it as one wicked black comedy. It’s definitely not one I would recommend to my mother. I don’t recall it being very educational about the politics of the period though I followed up later with some non-fiction. No, no blog. I tried it for a short time and found it just wasn’t for me. These days, I just follow you and at least half your commenters around to alert me to books of interest. Crime fiction is my favorite but since I’ve gone digital, I’ve mixed things up quite a bit genre wise. Even if I had a local bookstore/library, they would never have a Penelope Fitzgerald for sale/loan. It took someone blogging about Booker winners to bring it to my attention. You and other reviewers deserve a lot of credit for my adventures outside crime fiction. My thanks too. Anyway, this post has motivated me to put The Beginning of Spring back into the rotation immediately. What I laughingly call a “rotation” is that every 5th book has to be a setting outside the US and western Europe. Crime fiction counts for this category and bonus points if it’s a translated work. Well, thank you! I often think we bloggers are only talking to each other, so it’s nice to know there’s someone else out there reading our ramblings! Yes, when I started the blog, crime was my main focus too, but I’m so fed up with the “new Gone Girl” stuff that I seem to have moved more towards factual and fiction at the moment. Though my dislike of domestic thrillers has thrown me back into reading a lot of classic crime, and that’s been fun. Basically, the crew didn’t like the maggots in their food, so they started a revolution. Then the baddies shot a lot of people on the Odessa steps (no, not steppes!). Soon the red flag was fluttering atop the mainmast – quite effective in a black and white film. Long live Lenin and Trotsky! Long live the revolution! Great review, but a little too long. You know how I like to be concise. You forgot that other great communist leader – Comrade Trump! Keep the red wig flying high! I love this idea! I will happily take any excuse to read more books on Revolutionary Russia so I’m definitely in. I can recommend the Orlando Figes book despite it having been the bane of my undergraduate studies!. I might give Dr Zhivago a crack but we’ll see how it goes. Good luck! I shall abstain, based solely on fear and a short attention span. I am truly an American. *sigh* I’m afraid they’re already hacking my thoughts, you see… Good luck to you, FF! I’m afraid that Americans will doubtless find that learning Russian history is compulsory under Comrade Trump! I do hope they don’t make you learn the language too, tovarich! I already feel like I’m trapped in one of those alternate history books! Trump doesn’t have a clue about history. All he reads is Twitter, so I think perhaps I’m safe…from Russian literature at least! Maybe I’ll be forced to have a bare chested pic of Putin though! Ugh! Agreed. Two trucks are needed in this scenario! I’m sure in the end I’ll force my husband to partake. Hello again. 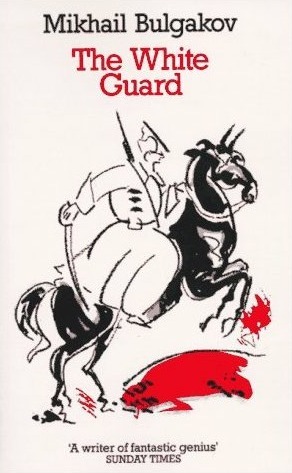 I’ve been thinking about your Herculean challenge and I wonder if you should start by reading (or rereading War and Peace) which was the buildup to the Revolution . . . It’s good, or perhaps– more to the point that a friend of mine commented “Too much war and not enough peace.” Best regards and courage in your endeavors! What an admirable challenge! Or should I say formidable?! My knowledge of Russian history is nil so thank you for providing a list a reads to start learning. Should I pick up one of these, I’ll be sure to return to let you know. That’s a terrific list. I’ve only read the Orwell – many years ago now, but it’s a book that stays in the mind for quite some time. Best of luck with your challenge. I hope you find it rewarding! Don’t wish for tsarism. My grandparents, their relatives and thousands of other Jewish people had to flee anti-Semitic pogroms under the tsar in the early 1900s. Also, their home country, Poland, was occupied by imperial Russia. Only after WWII after the tsar was toppled was Poland again an independent country. Also, there are no communists leading Russia now. Putin is not one! He is a nationalist and very wealthy, tied to billionaires and to right politicians in Europe. The Soviet Union was overturned in the early 1990s and it reverted to being Russia once again, and the republics of the USSR were no longer part of Russia. Well, my grandparents and their relatives and friends were for the ouster of the tsar because of how awful life was. Also, there was compulsory and very long military service, and Jewish people had to serve longer. So they all hated that system and rooted for its end. Today, there are problems in Russia and much repression. Women demonstrators a few years ago were put in jail for a few years for protests. They don’t treat dissenters well. And gay rights! Putin is awful about that. Yes, I think there were very good reasons for the Revolution at the time. It’s just sad that things were just as bad afterwards, maybe even worse under Stalin. It looked hopeful for a while around the time of Glasnost, but Putin has taken them back to dictatorship in all but name. The world seems to be regressing in general at the moment, sadly. 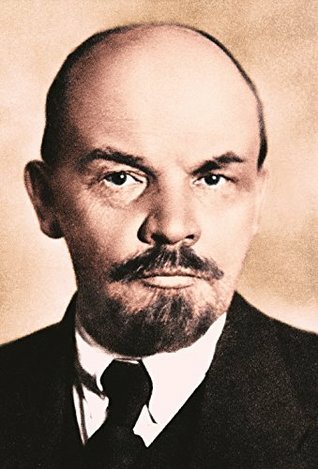 I just read Lenin on the Train – about Lenin’s journey back to Russia from exile in Switzerland to foment the second October Revolution, with other socialists from exile. There’s also lots of background about the government of the time from the earlier revolution in the year. I thought Catherine Merridale strikes a good balance between scholarliness and readability – it is well paced and a good read even with lots of footnotes. I’d just realised I could borrow it from the library when it came up on a Kindle offer for £1.99 (sadly ended). Are you going to continue this challenge into 2018?